Pharma Marketing Blog: MediScripts Rx Pad Ad Features HAVITOL - A Fake Drug Not to be Confused with HAVIDOL! 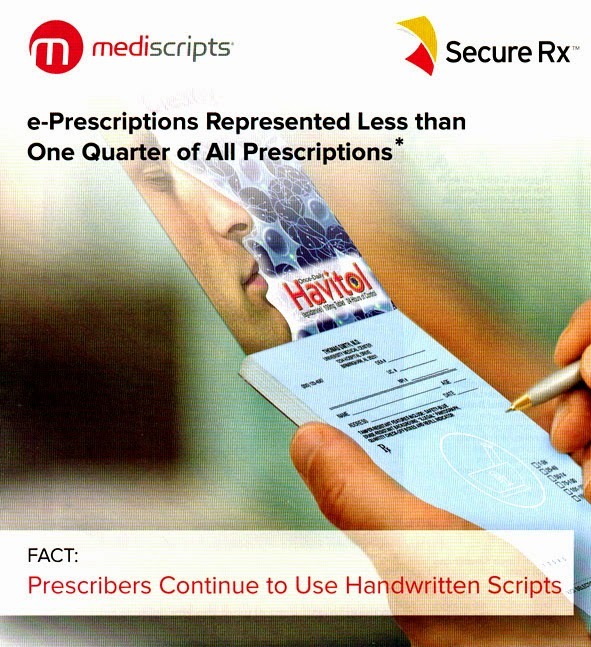 MediScripts Rx Pad Ad Features HAVITOL - A Fake Drug Not to be Confused with HAVIDOL! The following full-page ad for mediscripts prescription pads in the April 2015 edition of PM360 caught my attention. I guess pharma companies can place Rx drug ads within these pads as shown in the example above, which shows an ad for "Once-Daily Havitol," a fake drug. This is very funny on many levels, but also not funny. Did the external or internal PM360 agency that created the mediscripts ad realize what a Google search on "Havitol" yields? If so, it has quite a sense of humor. Let me explain. First, I thought "Havitol" was the name of a fake drug that is featured in a spoof pharmaceutical site for the treatment of "Dysphoric Social Attention Consumption Deficit Anxiety Disorder" (www.havitol.com). That spoof, however, used the drug name "Havidol" (see screen below). Both HAVITOL and HAVIDOL sound alike -- in fact, they sound like the phrase "have it all," which works with the spoof's tag line "When More is Not Enough." Havitol or Havidol, whatever. Maybe mediscripts should use a different fake drug name in future ads -- or maybe not. After all, now it's featured on Pharma Marketing Blog!